At this budget, we're running an i5-8600K. This hex-core CPU features an unlocked multiplier for easy and often significant overclocking. While not all games will benefit from overclocking, games like Overwatch can benefit significantly from a faster CPU. Overclocking can also help your CPU stave off obsolescence for a good while longer. To make the most of the overclockability, we're adding the Deepcool CAPTAIN 240EX WHITE 240mm liquid cooler, which will really let you push the CPU. For memory, we're filtering for the best-priced 2x8GB kit of DDR4 RAM that would match a black and white build and also is 2666 or faster. Feel free to click the "From parametric filter" link to see the various options and pick a color that suits you. We're also using a parametric filter that will actively select the best-priced SSD of at least 500GB capacity. Additionally, we're including a 3TB mechanical hard drive in a parametric filter for things like storing media and extra games. Everyone's storage needs differs, so feel free to change the capacity to your heart's desire. The motherboard M.2 slot #2 shares bandwidth with SATA 6.0 Gb/s ports. When the M.2 slot is populated with a SATA M.2 drive, one SATA 6.0 Gb/s port is disabled. I think you must have gotten a bit confused while putting this together because in the description you discuss an i7-8700K but the cpu in the parts list is an i7-8600K. Must have been a late night. I guess both RandyLee and ThoughtA typed this late night. it was definitely a late night when whoever made this parts list. Its off in so many ways. I5, 500GB ssd, $83 semi modular psu, 1080ti with an I5. For $1700 there have been many better systems built. Maybe at stock speeds... but not overclocked. Have you seen the new coffee lake chips benchmarks? Remember the i5 8600K is 6 core now(the i3's are now 4 cores so they are like the previous i5's), 6/6t @5ghz i5 vs 4/8t @5ghz i7= i5 8600k is obviously faster on multithread and singlethread performace than the previous generation i7‘s overclock or not. TL/DR: i3 are now i5, i5 are now i7 and i7 is just overkill. You're missing my point. It wasn't that the I5 chip isn't a good or nice chip. It was that it seems pointless to pair the best gpu on the planet (for the money) with the second best cpu. For most people, if they have $700+ to spend on a gpu they should also opt for the best cpu in that line which would have been the I7-8700k for $100-$150 more (which is a very small percentage increase compared to performance increase.) Its just bad advice to pair the I5 with the 1080ti. Had he suggested the I5 8600k with a 1080 or a new 1070ti I would have been all in. In addition... performance is not as simple or linear as more core/threads = better performance. Previous AMD chips should have taught everyone that. That being said, I would also say that regardless of cores/threads (for gaming specifically) Intel chips are MUCH better than equivalent Ryzen chips (non Threadripper), even previous generations with less cores/threads. Benchmarks prove that. Ryzen chips (with their higher core/thread counts) still only shine in their multi-threaded tasks and non-gaming applications. They are capable gaming computers but still budget gaming cpu's. Coffee Lake then does it even better. Such is the cycle. CL integrates Intel's superior overclocking WITH the higher core and thread counts. Dont get me wrong, I own both Intel and Ryzen computers. I love my Ryzen computers for what they do which is budget oriented multitasking. For gaming I still go back to Intels whether more or less core/threads. Most people do the same if given the choice. 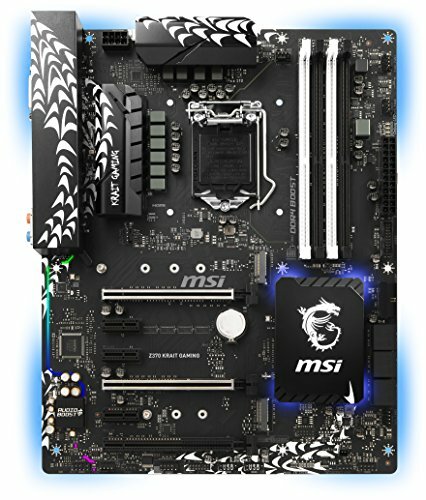 Why not the 'MSI Z370-A PRO'? Is it a bad motherboard or just not up to par with an $1800 PC? I'm asking this because I'm probably going to get the cheapest option paired with an i3 8350k. Well.. Intel CPUs are waay better overclockers and are better for gaming anyway (1080p at least). And with coffeelake you have a great upgrade path too.. you could also use the z370-A pro. iT has enough features for a basic PC. What upgrade path? AM4 is supported until 2020 or later, so Ryzen has better upgrade path. Edit: you must also remember that Zen (Summit Ridge) is a brand new architecture that hasn't been refined yet. Coffee Lake is Kaby Lake with more cores, and Kaby Lake is just more efficient Skylake. So therefore, Zen should be given a chance with its 12nm refresh that arrives soon, Zen + (Pinnacle Ridge). AMD only said AM4 would be supported, they never said their latest and best CPU's were going to be compatible with AM4 in 2020. Isn't AM4 new, too? I should think that supported means that it would be compatible. When Windows XP was supported, it was compatible with most hardware and still is out of support. Yes, AM4 is new being a year old, but LGA 1151 isn't that old either. My point was people keep complaining about Intel’s new Coffee Lake CPU’s needing a new chipset even though that’s how they’ve been doing it for many previous generations and AMD promising to support AM4 until 2020 doesn’t mean their best CPU will use that same socket/chipset it could, but it’s not a guarantee. It really doesn't. AM4 has a lot more potential than you may think. They are not better overclockers. Most 8700Ks will top out around 4.8-4.9 without delidding. A lower clock rate on Coffee Lake compared to Kaby Lake or even Sky Lake, doesn't mean lower performance. There is more to performance than just clock rate. Coffee Lake is better in almost every way. I would suggest getting a 7700K soon because quad cores without multithreading are considered entry-level now (see 8350K). Intel will likely push for more applications to effectively use the extra cores you're given with Coffee Lake, so the hyperthreading benefit you get from the 7700K is worth it. Unreal how prices/specs change so rapidly. This is a cool build and I'm sure it benches really well! @PCPP, are you to share pics of the finished build, or is it the component list only created for illustrative purposes? This is a guide. If you want to at least see the pictures of a finished build, head over the "Completed Builds" otherwise, wait till Black Friday and see those prices drop like crazy. The Ultra Gaming MOBO has some VRM temperature issues which would effect the overclocking so I would definitely change that one out. Why did you not include the AsRock Extreme 4 or AsRock Fatil1ty K6. Those two boards are the best midrange ATX Z370 motherboards, especially based on vrms and their cooling potential? IMO the price to performance on a 1080 Ti just doesn't make sense on a build like this. Would be better off upgrading the CPU to something like an i7-8700K and running a 1070 Ti or even a normal 1080. Otherwise the build looks decent, I'm a bit of a snob when it comes to SSDs (due to some bad experiences in the past) and will only buy Samsung 850 Pros thanks to the 10 year warranty and a MTBF that's twice as long as most other drives, but that's just my preference. Overall gaming performance would be lower with a lesser video card. Depends on the game, not all games are as graphics heavy and for workflow outside of games, having the extra multitasking capability can be handy. 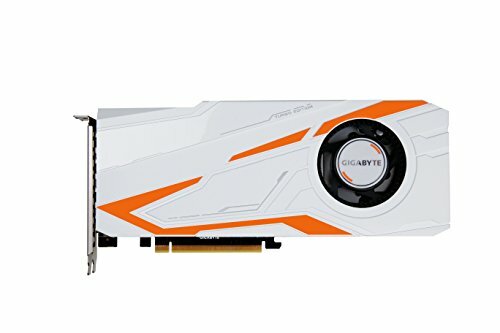 In most cases the actual performance difference between a 1080Ti and something like a 1070Ti is not enough to merit the vastly higher cost. Performance tends to yield diminishing returns as you get into more expensive graphics cards, so for a system build that you aren't just throwing the most expensive components on, it makes sense to prioritize the best value you can get for a given performance. I would also observe that it's far more common to upgrade a graphics card on an existing system than it is to upgrade the CPU. Since PCI-E is standard it's easy to throw a new card onto an existing build, but upgrading a CPU generally requires you to also replace the motherboard and possibly also the RAM, which can get expensive quickly. That's why, in my opinion, it makes more sense to get a more future-proof CPU and a slightly lower-teir (though still very good) graphics card that can be easily upgraded later. Any time a component is replaced the user loses money. It’s best to get the best components and then keep them as long as possible. It would be a waste to get a lesser card that would need to be replaced a year or two earlier and the same with the CPU. Ok, then the argument would be to keep the high-end video card AND improve the CPU, but that's not the point of my post. The point I was making was that if your budget is ~$1800 like in this build example, you get a better value out of that $1800 by getting a slightly lower power (but much cheaper) graphics card and a far faster processor. If you wanted to make the budget $2000 then you could do both, but again, not the point of my comment. I strongly disagree. For gaming the GPU is the deciding factor. Sure you need to have a good CPU too so that no bottleneck occurs. But replacing the 1080 Ti with a 1070 Ti would be a major major step down. The 1080 Ti alone outperforms the Gtx 1080 by dozens of fps in almost all games. If you have a budget of 1800 $ and use the rig for gaming its just outright stupid to downgrade to a 1070 Ti or a 1080. The comparison they use in that link is a 1080ti vs a 1070 (non-ti), hardly a fair comparison. Certainly FPS for different games on different settings will be affected differently by different graphics cards, however, the point is for the average user, benchmark results show only about a 10% difference in performance between the 1080ti and the 1070ti, but the cost of a 1080ti is 50% more than a 1070ti. My argument is not that a 1080ti wouldn't be better (obviously it would be), my argument is that a 1080ti is not cost effective for a build like this in this price range and you would get more benefit out of a better processor (which, while it may not improve gaming as much, will substantially improve literally everything else you do on your computer, since the average gamer is not using their computer for gaming most of the time). Obviously if money wasn't an issue you could make a build with a 24 core i9, 3x 1080 Ti's in SLI, and a pair 2TB Samsung SSDs in RAID 0 and you'd have the ultimate build for everything, but that isn't what the point of this build is. As far as games that are more CPU heavy, these would be games that tend to do a lot of physics calculations, or Indy games that are poorly GPU optimized. An example I've observed personally would be Kerbal Space Program, which ran like garbage (less than 15 FPS when using any kind of large ship on the screen) on my desktop PC (1st-Gen i7, GTX970), but ran great when I used it on my far-inferior, but newer laptop (AMD A10, Integrated+Discrete Graphics 512mb dedicated VRAM). When I recently upgraded my desktop PC to a current gen 6-Core i7 the performance drastically improved even though I'm using the exact same graphics card. In this particular case, the game was bottlenecking on the one-core performance of the CPU (KSP apparently doesn't do multi-threading very well) and so the newer CPU on the laptop allowed it to perform better. Pretty sure the 1080 Ti is more than 10% faster than the 1080. I mean i get where you are coming from.. but 1st gen i7s are potatoes anyway so an upgrade is a needed. a coffeelake i5 isnt.. So that argument is kinda invalid. Since this rig is focused mainly on gaming its kinda like stabbing an eye out because you dont like your sunglasses. Not a perfect resource, granted, I would have preferred to have multiple sources, but it tracks the largest variety of graphics cards than anything else I've come across. If you have a better source for comparative benchmarks feel free to share. As far as the CPU goes, for just $60 more you can get 20% better performance with an i7-8700 (https://www.cpubenchmark.net/compare.php?cmp=3100&cmp=3099) or pay $125 more and get 26% better performance and the ability to overclock with an i7-8700K. To me this seems like a better value than paying $260 more for a 10% improvement in graphics power. And again, keep in mind that it is FAR cheaper to upgrade a graphics card a few years down the road if you run into performance issues than it is to have to upgrade a CPU which would also likely require a new Motherboard and probably new RAM. 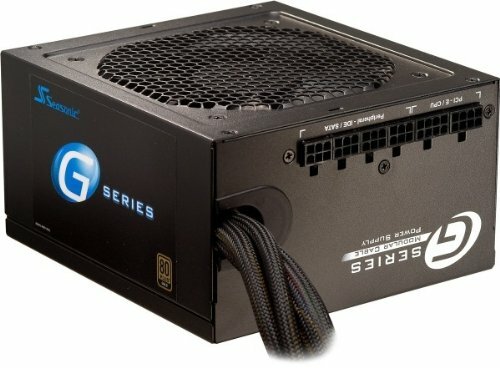 Hey guys I’m looking at building my first gaming pc and I’m super nervous about it. I’ve watched hundreds of videos trying to prepare myself but still feel like I’m going to get stuck (guess it’s all part of the process) here’s my list if you guys have any suggestions especially to make this build easier plz let me know. If you are getting any motherboard other than a mini ITX you can simply add in a WiFi card. 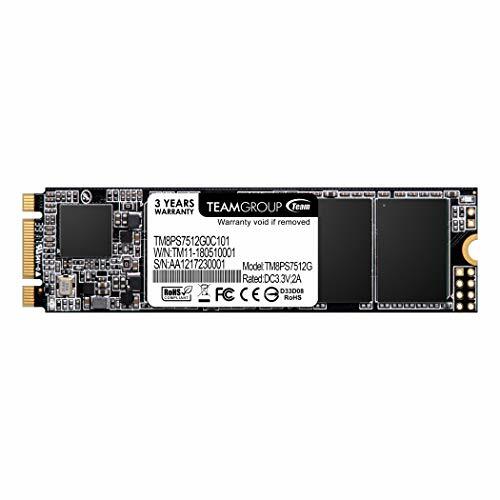 I would get a motherboard with USB 3.1 type C, but that's just my opinion I don't know if there are any aftermarket type c connection cards. Not only are core i7 but core i9.I wanted a super gaming build and they use core i5.Honestly they should make it a enthusiast build.Plus they should lower the psu cost. You can buy a way cheaper one. But that’s my opinion. I'm sorry to say that you're quite mistaken if you think that any of the selected PSUs is 'skimping.' All of them are very good, and this build's budget being fairly high doesn't mean you have to purchase the best and most expensive possible. I don't believe recommending a $70 more expensive PSU is worthwhile when the ones selected are already good quality. 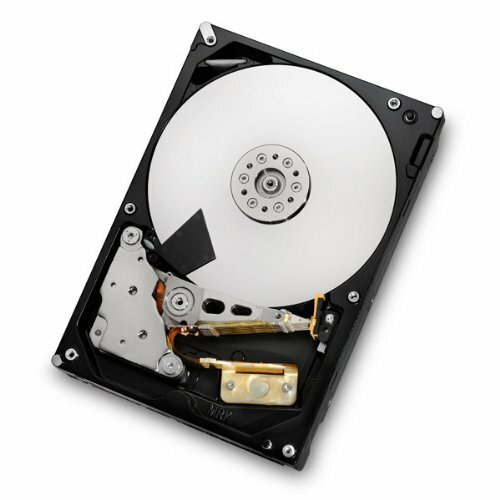 As for the 3TB mechanical drive, everyone's storage needs differ, as stated in the guide. You may only need 500GB - 1TB, but a lot of people need more. Faster doesn't help much if you don't have the capacity for your needs, and getting several SSDs wouldn't be a reasonable substitute here either. The Optane suggestion is certainly worth considering though. Clearly you and I have differing opinions on what is 'skimping' and what fulfills various needs. That's okay, and I welcome your suggestions and opinions. Davengerdann you make some good points but saying that this build makes no sense is false. Who knows what power supplies are going to look like 14 freakin years down the road? Spending almost twice as much for a PSU means you could essentially just buy another corsair in 10 years and still break even. Hell, you could invest that $70.00 and buy more components in 10 years! I agree with you on the SSD - it's clearly better in the long term, but so is an M.2 NVME drive, and if you value storage space/gaming over file/loading speed, that's totally a legitimate call to make. Now, what I really have a problem with is the graphics card - currently selected is the MSI Armor 1080ti (I know its a parametric filter so it can change). This graphics card has inadequate cooling. See the Gamer's Nexus review. You could just do the smart thing and back your data up.....I'm sitting here with multiple terabytes of data and I always make certain to backup to BackBlaze daily. Data loss isn't a big issue if you're smart about making reagular backups. Optane isn't a good fit for SSD's the performance gain isn't enough to make up for the cost.